There’s a definitive symbiosis between visual tech and digital marketing: Not only is vision the primary sense used when making a buying decision, it is also the most efficient in tracking and deciphering a consumer’s path to the critical buy impulse. While brands might not have yet adopted the rapid pace of evolution offered by the countless new start-ups in the field, advertising agencies and their investment arms have long known that it’s a battlefield with huge potential outcome. 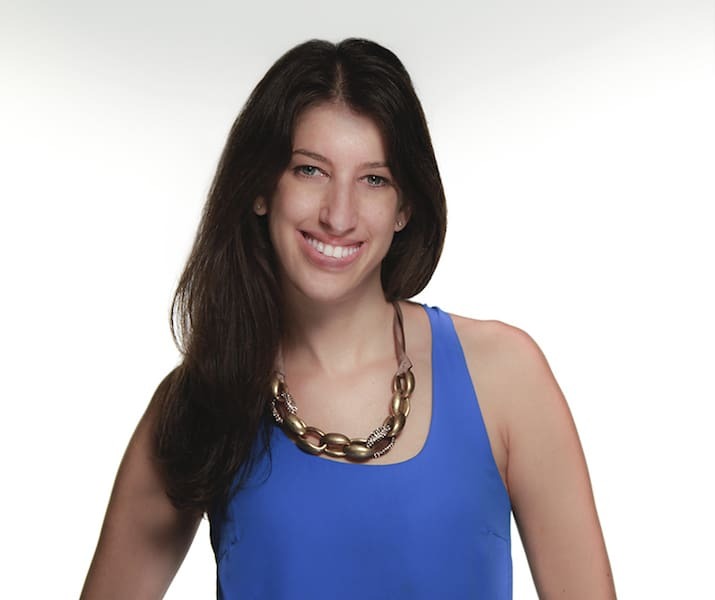 We spoke with Jessica Peltz-Zatulove – Partner at KBS Ventures, ahead of her attendance at the LDV Vision Summit as a judge for the Start-Up Competition. I spent the first decade of my career on the customer side, managing the integrated media strategy for Fortune 500 brands such as Verizon Wireless, H&M, PUMA, 20th Century Fox, and many others at a global media agency. Working on Verizon’s strategy in 2009, I had a front row seat to see how mobile was clearly going to fundamentally change in consumer behavior. This sparked my interest in emerging technology, and I ultimately became the resident expert tracking mobile adoption, new advertising opportunities, pushing for transparency around metrics, and educating clients about these new trends. After starting to mentor startup founders on the side and bringing various new technology solutions to brand clients – I was immediately hooked and fell in love with the passion, energy, and different mindset of the entrepreneur community. I wanted to get operating experience at an early stage company, and in 2012 joined Evol8tion soon after they launched, where we specialized in connecting early stage startups with brands for pilot programs, mentoring and partnership opportunities. After helping scale the business and building out a partnership network of hundreds of various investors, accelerators, and other players around the global ecosystem, I transitioned to a Corporate VC, KBS Ventures, where we exclusively focus on seed stage, B2B companies in digital media and marketing tech. This background has given me a unique lens of not only having hands on domain expertise to help inform investment decisions, but also enables us help startup founders secure their first customers, craft effective sales/marketing strategies, and better understand the nuances of the marketing world. – What do you look for primarily in a start-up? As the corporate venture arm of a global advertising holding company, we invest in companies that are transforming the marketing industry and addressing the needs of what we call the Modern CMO. We look for companies that are painkillers, not vitamins. In other words, we’re not looking for solutions that are incremental improvements to existing problems – it’s important for us to understand how and why they’ve uncovered an emerging pain point that customers might not even be aware they have yet. As a strategic investor, this enables us to educate our brand clients on new trends and to help them strategically think ahead of their competition before a new market matures. We’re always looking to understand the founders unique “super power” – what insights, connections, or experience do they have that will enable them to succeed- and why is now the right time to execute? Additionally, we look for a balanced founding team that is strong communicators, as we believe this is a critical component of startup success. The founder has to be able to concisely articulate the company to investors, customers, press, talent, partners, etc. etc to grow the business. If they’re unable to clearly convey the mission with enthusiasm, it can be a huge deficiency. – You said in the past “VC is a very human business”. Does that mean technology is less important? The technology, defensibility of the IP, market conditions, etc – are all absolutely important puzzle pieces. That said, VC is very much a human business – the investor/founder dynamic is a very special relationship, one that often lasts years if not decades. As we all know, it’s never a smooth path to success – you’re signing up for a bumpy, exhausting journey together. It’s important to work with people you have mutual respect for, feel comfortable being transparent and often times vulnerable, and recognizing there are several life events outside of the company that can impact your focus or ability to build the business. Ultimately you need to invest in (or take money from) people you know will be positive, supportive, and constructive contributors – both mentally and physically to elevate you and your business. It’s not something to take for granted, we always encourage founders to do as much diligence on the investor as we do on the founders, to make sure you’re committing to the best possible partner for you. – Are visual tech and artificial intelligence central focus of your investments? if so, why? Yes, Visual tech and AI are a high priority for us. We believe leveraging the various branches of AI will revolutionize every aspect of the marketing spectrum in the coming years. We see AI less as its own “sector”, and more as a fundamental enhancement that will be weaved into every channel or consumer touch point. This is going to dramatically change the way brand marketers think about running their business – from the reimagining the retail experience, to hyper-personalized ad targeting and more effective use of data to make real-time business decisions, we’re in a fascinating transition period that will drastically change the role of marketers. – How do see the digital marketing world adopting visual tech? Is it where it should be? There’s been many exciting advancements, but we are still in the early stages of next generation visual tech becoming mainstream. The recent announcements from the big social platforms are paving the way for new visual capabilities centered around AR and visual search to be more widely adopted. Snapchat debuted their new “World Lenses” capabilities hours before Facebook’s F8 Summit- enabling users to add 3D elements to any scene with your camera, while Facebook clearly stressed the Camera is King and touted its new AR tools to place virtual objects in the real world. The Pinterest Lens beta is also an exciting tool that makes a machine vision application accessible to consumers, by creating a new way to detect objects and discover content that’s contextually relevant across the platform. These developments are reflective of a clear change in how consumers are expressing themselves in the digital world, it’s centered more around visual affinity and individual creative expression, vs. one dimensional, text-based search. – Are brands getting savvier in exploiting advances in visual tech or are they being too conservative? Aside from having a social media presence, digital marketers are only beginning to scratch the surface on adopting the advancements in visual tech- and several new advertising opportunities that will complement advancements in the platforms I mentioned are still being developed. For example, leveraging visual search can create an innovative approach to retargeting by pushing products that are reflective of their visual preferences or sharing behavior, and the business intelligence brands can generate from having more context to analyze UGC videos or images at scale are endless. Given there are so many nascent technologies in the category, large brands are often risk averse and require more education before they’re able to maximize the potential. They’re looking for clarity around questions such as: How does this fit into my overall strategy? How do I measure success? Will it move the needle on my business goals? Is this something my agency should be responsible for executing – or should we do it in house? How do I evaluate technology partners, and better understand the various options in the category? Who internally do I need to work with to get access to the necessary data and assets required? What budgets does this come out of? Marketers are rarely trained technologists, so while there is an intense curiosity to learn and recognition that it “will change their business”, the roadmap to get there takes time. Having an effective visual strategy will go well beyond having an Instagram handle or Pinterest page, there’s starting to be some great use cases emerging of brands experimenting with AR/VR, emotional intelligence tracking, and visual search – but there’s certainly room for more! – What area of computer vision do you feel is most exciting? Computer vision as a springboard that enables marketers to add context and categorization to a massive volume of video/image assets is very exciting. At its core, having the ability to replace human designed schema of metadata with something much deeper – something only the machine can see and understand unlocks tremendous opportunities to offer more effective solutions. There’s significant potential around leveraging video fingerprinting for real-time, highly customized ad delivery. Since the technology (via audio, object, facial, and speech recognition) will automatically create metadata around every frame – this could allow brands to catalog and search video creative by anything – weather, talent demographics, a particular object in a frame, model or color of the car, etc. 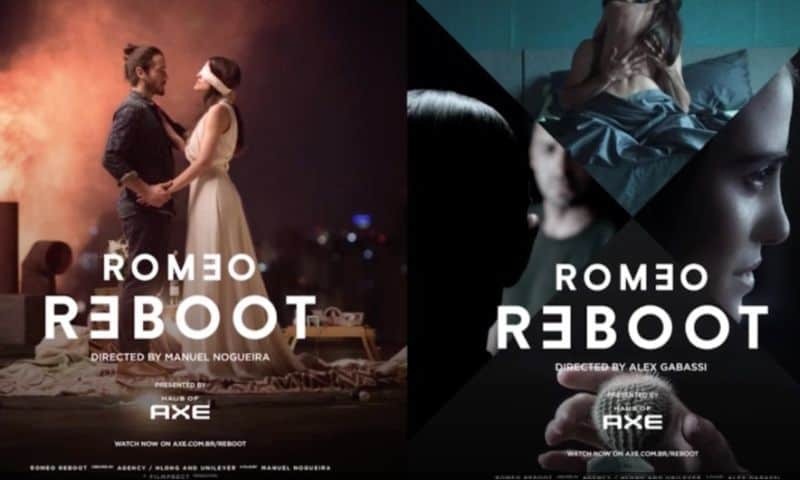 As an example, using AI and programmatic creative changes gave Axe the ability to deliver 100,000 different variations of its “Romeo Reboot” campaign – all tailored and served based on the user’s tastes. Computer vision has the power to help create customized ad versions at scale, and also provide new, robust ways to understand and track competitors’ messages. – What do you look forward to the most from the LDV Vision Summit? Evan always curates the best lineup! It’ll be a great 2-day session with so many insightful takeaways, I’m really looking forward to Keynote on AR, learning about some of GE and Boeing’s success stories, as well as Clement’s talk on AI – he’s an incredible thought leader in the space. – Where do you see computer vision in digital marketing in 20 years? I believe one of the most transformative ways computer vision will impact marketing is through the retail channel. Amazon Go leveraging computer vision and deep learning algorithms to create a frictionless shopping experience has the capacity to hugely disrupt the in-store environment. This will require marketers to rethink the entire experience for consumers – the physical store has had minimal incremental changes over the past decades. The new question will become: how do you balance the consumers’ expectation of transaction and operational efficiency, with wanting to create a unique experience- and increase the time spent in store to drive incremental sales? The existing role of sales and check-out employees will become irrelevant, and instead will evolve into more of a concierge setup with data-driven personalized assistants. That coupled with more advanced analytics around traffic patterns, predictive shopping behavior, and dynamic pricing capabilities will make for some compelling developments in the coming decades. = > The 2017 edition of LDV Vision Summit will be held on May 24 and 25 in New York City. Readers of Kaptur can purchase tickets at 85% OFF. That’s $208.00 instead of $1,390.00. Valid only up until April 30. Just type in “KAPTUR” when purchasing your ticket here. Previous PostMove over Snap: Facebook is the camera company to beatNext PostGoogle: what’s wrong with a lack of jaw-dropping announcements?